It turns out that when Power Rangers made it to test audiences, no one liked the kiss between Kimberly (Naomi Scott) and Jason (Dacre Montgomery). And it wasn’t a bunch of nostalgia-driven fans pissed off because obviously Kimberly should only ever be paired with Tommy, who isn’t even in this movie. I was one of those people screaming bloody murder. Because I apparently still have very strong feelings for a show I watched when I was in kindergarten. And the fact that this kiss—which was in trailers just a few months ago—was missing from the final film was a bit of a relief. Apparently I wasn’t alone in my dislike. Director Dean Israelite told EW that preview audiences unanimously hated the scene. Part of the problem was that it took a scene about Kimberly’s evolution and turned it into one about the relationship between her Jason. “For that scene to culminate in some kind of romantic moment between her and Jason undermines her character and feels a little old-fashioned and becomes a movie trope of the female lead there to support some kind of male arc,” said Israelite. Also give Israelite credit for seeing an audience reaction and not raging about them not getting his film. He not only agrees, but likes how the test audience reacted. “I think it was actually kind of lovely that the audience pushed so hard against that, and the moment we took it out, everybody liked Kimberly way more and felt she was much stronger, and I loved that we got that reaction,” he said. 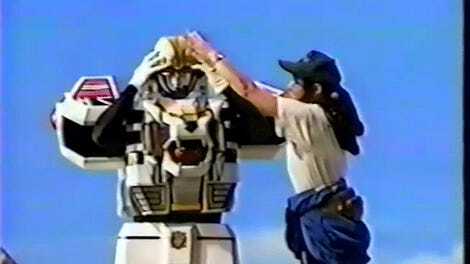 And since we’ve been teased with the appearance of Tommy in a sequel, I can only hope that my inner five-year-old gets to relive seeing the most important relationship in Power Rangers history. I will not apologize for caring too much about these two.